Everyone’s gripe and reasoning for the 49ers not getting deeper into the playoffs last year was because they didn’t have a quarterback. There was a lot of talk about how IF they had a quarterback, they would be really scary. Although Kaepernick does not have the experience that the rest of the remaining playoff quarterbacks have, it seems pretty safe to say that the 49ers have their quarterback. Kaepernick really has a great chance to shine in this game. He has an elite defense on the other side of the ball and he is playing against a defense that should give him opportunities to make some statements. Matt Ryan whose Achilles heel seemed to be the post-season spotlight, chalked up a 2 point playoff win against the Seahawks last week. As the #1 seed, the pressure is still on Ryan to deliver a win. 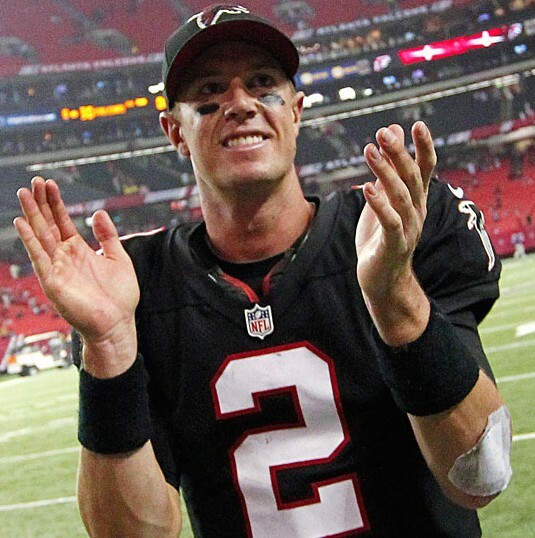 He has the weapons to take care of business and a win in this game is gigantic for the Falcons as an organization and for Ryan as a quarterback. Last years same two AFC conference finalists are back. Baltimore’s perspective is that they want revenge after losing a game they probably should have won last year. New England’s perspective is that they’re playing the team that they hoped would come out of the Divisional round. No Peyton Manning in Foxboro has to make the Patriots defense a happy group. Both teams have what they want and will be more than prepared for each other. But the Pat’s still have their hands full with the big athletic wide receivers of the Ravens. Torrey Smith was a monster in last weeks game in Denver and he beat up on one of the leagues best cornerback’s in Champ Bailey. If Talib is playing on Torrey Smith, I actually think this is a tougher matchup for Smith to exploit. Talib is a little bit taller, a little bit bigger and quite a bit younger than Bailey. Also, when I think back to the Patriots g ames prior to when Talib came to town, I remember a lot of deep balls being caught behind all of the defenders on the field, just like Torrey Smith and the other Raven’s WR’s did several times against Denver last week. I don’t think I’ve seen that nearly as much with Talib on the field and I think he will need to be a big presence against a team with Flacco who loves to launch the deep ball without hesitation, even if there is coverage. 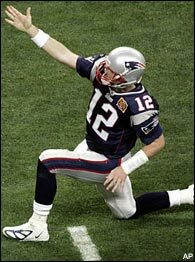 I would love nothing more than for Tom Brady to have the ball with 1:27 seconds remaining in the game; Patriots are up 3 points, 3rd and 8 on the Pat’s own 26 yard line. Brady snaps the ball, looks down field to see everyone covered, pulls the ball down and runs straight up the middle with only Ray Lewis to beat, JUKES him out of his shoes and slides in for a 9 yard gain getting the first down, securing the win and launching Ray Lewis into a bitter retirement so that I can stop hearing his name and seeing his face until he is an analyst for ESPN. By then, I will have cancelled my cable and won’t have to see him there either.